May the Fourth be with you! We’ve hand-picked 5 of our favorite Star Wars games, all of which you can buy and play today! May the Fourth be with you, Star Wars fans! And what better way to celebrate than to load up one of the MANY great Star Wars games? Below is our list of some of our favorite Star Wars games (all of which happen to be on sale this week!). Empire at War was a criminally under-rated real-time strategy game released way back in 2006 on PC. 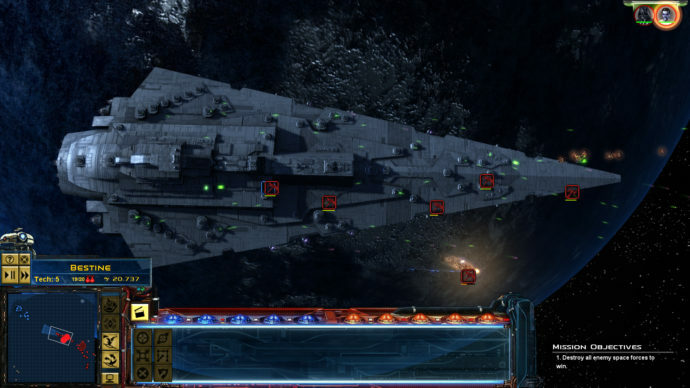 Empire at War‘s Galactic Conquest mode is the real star (buh-duh-tiss), giving fans the chance to take over as either the Empire or fight back as the Rebellion. While the moment to moment combat and base building isn’t quite on par with genre staples like StarCraft, the feeling of control over the galaxy is incredible. 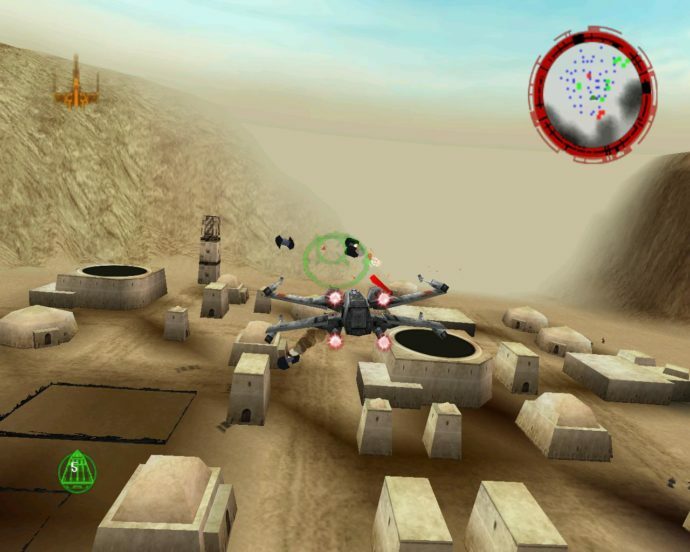 While I personally am a bigger fan of it’s sequel on GameCube, Rogue Squadron 3D is a great starting place. Recently released to Steam and GOG.com, those who missed out on this flight combat game from the late-90’s, can finally get their chance on modern OS’s. And yes, it’s still good! After you’ve played this, dust off that Wii, buy a copy of Rogue Squadron 2 and play one of the greatest flight combat games ever made. Holy moly, what a blast from the past! 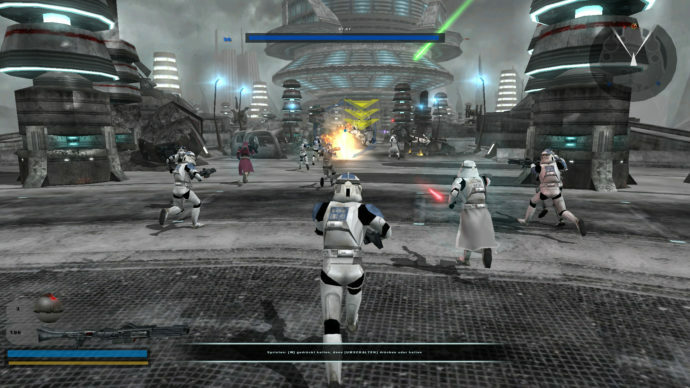 Republic Commando showed up on PC and Xbox in 2005, a few short years after Rainbow Six 3 proved to be the tactical squad-based shooter. 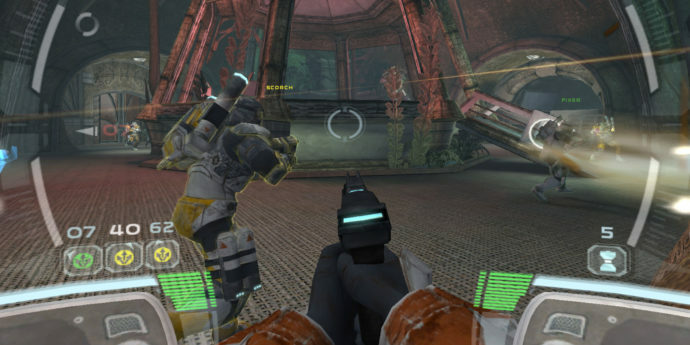 Republic Commando is decidedly more focused on shooting than commanding a highly-trained squad. But what it lacks in tactical realism (and, really, who wanted that in a Star Wars game?) it makes up for in unrelenting coolness. Unfortunately no sequel has ever been announced, though one has been rumored to be coming from EA. Only time will tell if they’ll answer our prayers. This is like the Greatest Hits of Star Wars games, I guess, but the best Star Wars game is pretty damn undeniable. KoToR is arguably Bioware’s greatest RPG and features one of the greatest Star Wars stories outside of the movies (hell, PERIOD). 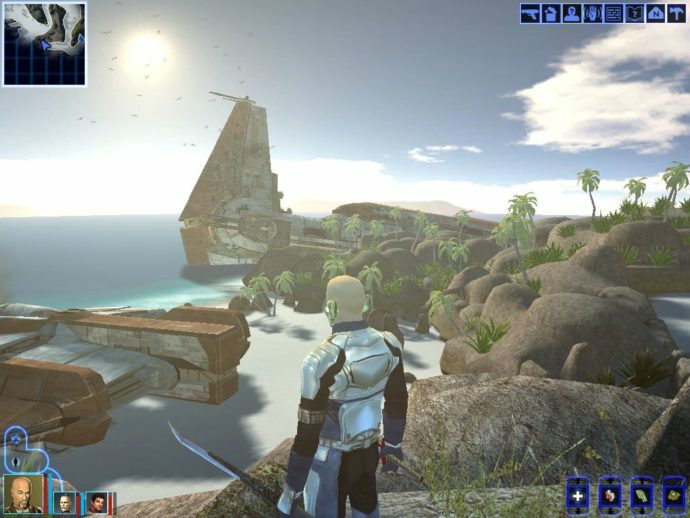 Building your character and making decisions would be the model of future Bioware games, but few, if any, would reach the heights of KoToR and it’s almost-as-good sequel. Even The Old Republic got interesting, and is likely the closest thing we’ll get to a KoToR 3 (especially with the awesome Knights of the Fallen Empire expansion). What’s YOUR favorite Star Wars game? Let us know in the comments below and tell us how stupid we are for liking KoToR over KoToR 2!